Obernewtyn is a powerful, thrilling and addictive read. 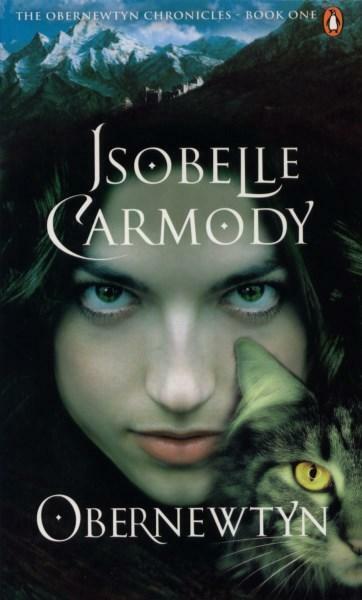 The first in a seven book series by renowned Australian fantasy author Isobelle Carmody, it’s the kind of novel that leaves you thinking long after you devour its pages. In Obernewtyn, we meet Elspeth Gordie, a teenage girl living in a future world where only pockets of humanity have survived a great apocalypse. Strict laws rule the new civilisation, and those born different—misfits—know to keep their gifts a secret. Elspeth is one of those misfits. She has strong telepathic abilities (amongst other powers), and when she is accused of hiding them, she is sent to the mysterious mountain complex of Obernewtyn. There, Elspeth discovers the extent of her powers as she meets other talented misfits. But she also discovers Obernewtyn hides many deadly secrets, and if she wants to survive, she must find the courage to fight against her keepers. This is a book about persecution, discrimination and freedom. It’s an underdog story about fighting for what is right. But the themes that really resonate for me are friendship and courage. Obernewtyn is about strong connections. It’s about finding your tribe and making sacrifices to protect it, even when you’re afraid. Carmody’s words are magic to read, and she has an amazing ability to bring characters to life on the page. Within a few short paragraphs you will feel as if you know them—that they are your own friends or enemies. With such extensive world building needed for an epic tale such as Obernewtyn, it would be easy for descriptions to become long and tiresome. But Carmody writes with gripping suspense, splicing in details with mystery and intrigue, leaving you begging for more. And more you will get. There are animal languages to be learnt, a variety of superhuman abilities to discover and a whole world history (or future) to dive into. If you like science fiction and fantasy, you will like this book. If you like adventure and epic tales, you will like this book. If you like stories about strong heroines and underdogs who fight back, you will like this book. And the series that follows.